A “Class of 1963” charter inductee, Art Lesieur is one of three players with 12 years of service with the Reds. He skated, captained and played key roles on more championship teams with Providence than anyone else, winning titles in 1930, 1932, 1934, 1938 and 1940. Over the course of his career, he played in four leagues:; the Canadian-American Hockey League, National Hockey League, United States Hockey League, and the International-American Hockey League, which was renamed the American Hockey League starting the 1940-41 season. In his dozen campaigns with the Reds (1927-1935 and 1936-1940), the heady, bruising defenseman amassed 497 minutes in penalties, scoring 39 goals and 50 assists in 412 games, the 10th most in team history. Art played for the Stanley Cup-winning Montreal Canadiens in 1930-31. 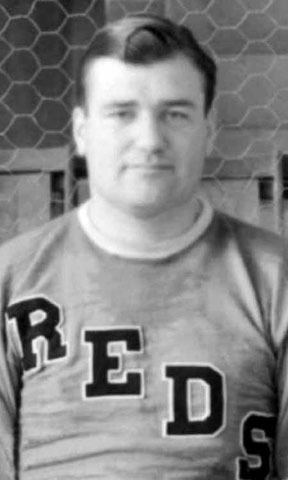 He served the majority of the 1946-47 season, his last in the professional game, as head coach of the Reds. After his playing and coaching career, Art returned to the Auditorium ice and served many years as an AHL linesman for Reds home games.